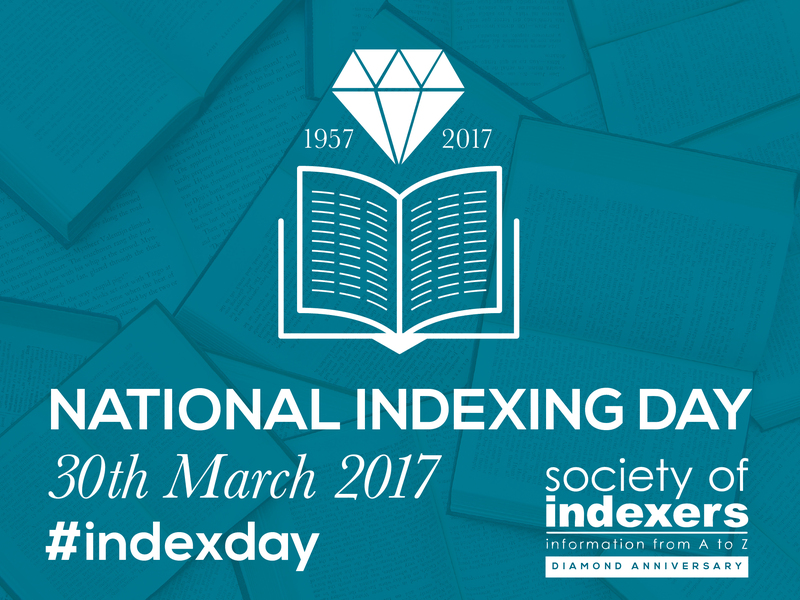 The Society of Indexers is celebrating its diamond anniversary in 2017 and has designated Thursday 30 March as the inaugural National Indexing Day. This date marks the 60th anniversary of our formal constitution at the premises of the National Book League in London on 30 March 1957 by G. Norman Knight and colleagues. Knight counted it as ‘one of the achievements of the Society to have removed the intense feeling of solitude in which the indexer (of books and journals, at any rate) used to work’. To give due credit, we were inspired to set up National Indexing Day after seeing #NationalProofreadingDay trending on social media on 8 March 2017, shared by SfEP and others. I believe National Proofreading Day was originally founded in 2011 by American proofreader Judy Beaver in memory of her mother, Flo, who ‘loved to correct people, so her birthday is the ideal day to correct errors’ (from the National Proofreading Day website). One of our members, Ruth Ellis, wondered if we should set up our own National Indexing Day and I suggested 30 March after discovering that this was the original SI foundation date. We have since pulled this together in the intervening three weeks. Luckily we’re good at working to tight deadlines. The Society of Indexers (SI), now based in Sheffield, is the only autonomous professional body for indexers in the United Kingdom and Ireland and is associated with other indexing organisations around the world. Its aims are to promote indexing, the quality of indexes and the profession of indexing. Membership includes around 400 specialist indexers across the UK, working for authors and publishers in more than a hundred different subjects, from accountancy to zoology. SI and SfEP of course share a common heritage and continuing close ties. The Society of Freelance Editors and Proofreaders, as it was then, was founded by a small group of volunteers led by Norma Whitcombe after informal conversations at the SI conference in Cheltenham in July 1988. The two societies shared office premises and a joint administrator in London in the 1990s before SI moved to Sheffield. I myself was already a freelance proofreader, copy-editor and SfEP member before joining SI and training in indexing. I really enjoyed the first joint SI/SfEP conference in York in September 2015 and I hope there will be many more such collaborations. Having just renewed my subscriptions, I am also appreciating the current membership discount for being a member of both societies. Indexing is an ancient art. The oldest printed indexes are thought to be found in two editions of St Augustine’s De arte praedicandi (‘On the art of preaching’), published in the 1460s soon after the invention of the Gutenberg printing press. Handwritten indexes date back much further. Records from the papal court at Avignon show that by the early 1300s people were being paid to compose indexes. There is further evidence to suggest that the 3000-year-old ancient book of hexagrams I Ching (Book of Changes) from China contains the world’s oldest index. We have come a long way from early handwritten indexes and the days of filing index cards in shoeboxes. Today’s indexers use sophisticated indexing software to create standalone back-of-the-book indexes or embedded/linked indexes within the main text itself. In the digital age, indexes are just as essential in ebooks; a full-text search or Ctrl-F cannot think like the reader. A good book index is made neither by magic nor machine; an index is not just an automated alphabetical list of keywords. Computers can’t read, so they can’t index. They don’t cope well with homographs, synonyms or judging between significant and passing mentions of a topic. Context is key; it all depends (which indeed applies just as much to editing and proofreading). Professional book indexers are trained to analyse each text, identify the important concepts and allow for alternative reader approaches. A good index is like a road map back into the main text. A bad index is at best laughable and at worst less than useless. And a non-fiction book with no index at all is a crying shame, as is regularly bemoaned in book reviews and on social media. As our past president John Sutherland says, ‘Using a book without an index is like trying to fish with your fingers’. SI has an ‘Indexers Available’ online directory, similar to the SfEP Directory, which lists SI-approved and accredited indexers. The directory is searchable by subject specialism. Like SfEP, it too has local groups, workshops and an annual conference. It also publishes The Indexer, the quarterly international journal of indexing. If you are interested in becoming an indexer yourself, SI runs a ‘Training in Indexing’ distance-learning course leading to the qualification of Accredited Indexer. I completed this course and I can recommend it highly. Indexing is intellectually challenging and that’s part of what I love so much about it. It can be very hard work but it’s rarely dull. And, unlike with editing/proofreading, which arguably is invisible when at its best, the indexer gets to add a new visible part to the back of the book. There will be much ado about indexing in Oxford this June. As SI finishes celebrating its diamond anniversary conference and gala dinner at St Anne’s College on 21 June, index scholars and lovers will gather at the Bodleian Library for a two-day symposium on the Book Index (22–23 June) organised by Dr Dennis Duncan. We are pleased that there will be an SI panel on ‘Indexing Today’ at this symposium, including joint SI/SfEP members Ann Kingdom (current SI Chair) and myself. We hope that the launch of National Indexing Day on Thursday 30 March will provide a useful opportunity to promote the profession of indexing. 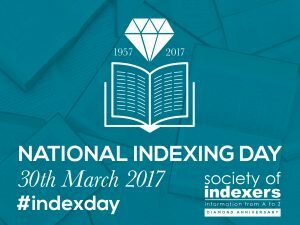 We will be encouraging people to share gems of best indexing practice on social media with our dedicated hashtag of #indexday. Please do join in with your own examples if you appreciate a good book index. As our Honorary President Sam Leith says in his associated forthcoming article in the Guardian, book indexers may just be some of ‘the unsung heroes of the publishing world’. It’s high time for the diamond indexers to shine. Further information can be found on the Society of Indexers and Book Index symposium websites. Paula Clarke Bain is a book indexer and editor and an Advanced Professional Member of both SI and SfEP. You can contact her by email on pcbain@baindex.org, see her website and indexing blog at baindex.org or find her on Twitter @PC_Bain. 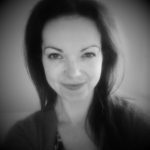 This entry was posted in Events and tagged National Indexing Day, SfEP, Society of Indexers on March 30, 2017 by Abi Saffrey.